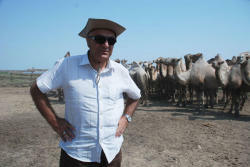 ‘The Steppe Man’, a movie by Azerbaijani filmmaker Shamil Aliyev has been named the best in the nomination “Best feature film” at the Calcutta International Cult Film Festival in India on December 5-6. 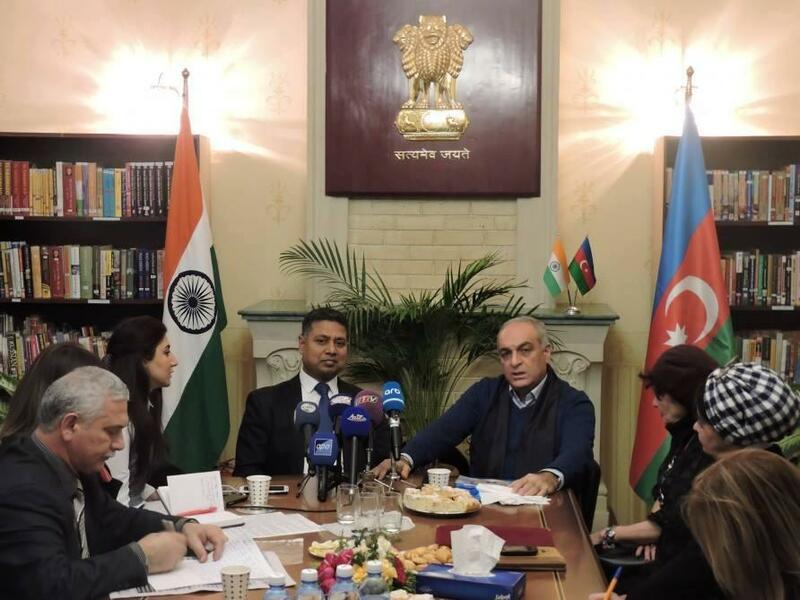 In this regard, a press conference was held at the Indian Embassy in Azerbaijan, where Indian Ambassador to Azerbaijan Sanjay Rana congratulated the Azerbaijani filmmaker on the success of his film at the international festival. It was stressed that a festival of Indian films is planned to be held in Baku in the near future. Shamil Aliyev, in turn, spoke about the work on the film, stressing that ‘The Steppe Man’ was screened at 35 international film festivals. The film won five prizes in the nomination "Best Film" and three awards in the nomination "Best Director". ‘The Steppe Man’ is about a young steppe man who lives in remoteness from the city, closely tied to nature. His father teaches him the subtleties of life in the steppe. Soon after his father's death the young man meets a girl from a city. Their meeting becomes a new page in his life, a step to a big life unfamiliar to him before. 'The Steppe Man' was included in the list of candidates of the American Cinema Academy OSCAR-2014 in the nomination "Best film in a foreign language". Creative work for the movie was done by script writer Vidadi Hasanov, director of photography Rafig Guliyev, production designers Rafig Nasirov and Ibrahim Khalil Aminov, composer Rauf Aliyev, and producers Mushvig Hatamov and Azer Guliyev. The film stars are Bahruz Vagifoglu, Vidadi Hasanov, Javidan Mammadov, Salome Demuria, Vusal Mehraliyev and others. CICFF is a monthly live screening film festival with an annual live screening mega event in the City of Joy scheduled this year for December 2017. The monthly live screenings take place at the end of each month at Indira Cinema. Each month more than 50 films from the different categories are officially selected and out of them at least one per category is awarded. The film festival aims to develop culture that inspires and brings together cross-cultural innovations that enrich people’s lives with entertainment.